Fatty liver disease (FLD) is a condition characterized by an abnormally excessive accumulation of increased amounts of fats in liver cells. There are several herbal remedies which can effectively treat Fatty liver naturally, without any side effects. The ‘Fatty liver’ condition occurs when the accumulation of fat in the liver comprises more than 5-10% of the total composition of the liver. Some excellent home remedies for fatty liver can be very beneficial in treating Fatty liver disease (also known as Steatosis) which is associated with other diseases that influence the body’s fat metabolism process. 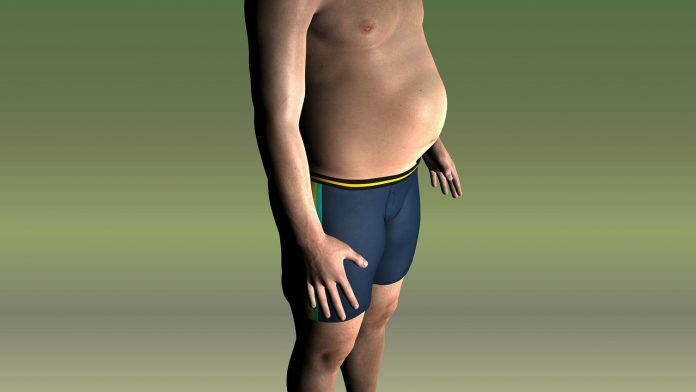 The disruption of the fat metabolism process is the causative factor behind the occurrence of Fatty liver disease because it leads to the accumulation of excessive amounts of fat in the liver — an important body organ which is at the center of metabolism of the food consumed by a person. This accumulation of fat not only cause Fatty liver disease, but can also potentially be accompanied by Steato-hepatitis — a condition in which the liver gets inflamed progressively. Fatty liver disease is a reversible condition in which the process of steatosis — abnormal retention of lipids within liver cells — causes large vacuoles of triglyceride fat to accumulate in liver cells. Fatty liver condition is basically linked to an excess production of fat cells, and it may not necessarily result from an increased consumption of fat. One of the most common causes of Fatty liver disease is the excessive consumption of alcohol. On the basis of the contribution of alcohol to Fatty liver disease, this condition can be categorised into two types: Alcoholic Liver Disease (ALD); and Non-alcoholic Fatty Liver Disease (NAFLD). There are no specific indications which constitute the suggestive symptoms of Fatty liver disease in general. However, patients affected by the condition commonly complain of fatigue, yellow pigmentation of the skin, loss of appetite, nausea, weight loss, etc. Fatty liver disease can be reversed by making changes to diet, behaviour, and lifestyle. The use of some amazing herbs/herbal products and home remedies for Fatty liver also comprise an extremely safe and time-tested approach to treat fatty liver naturally. According to Ayurveda, the occurrence of Fatty liver disease is associated with the imbalances of three types of physical energy, or doshas, of the body — Vata, Pitta and Kapha doshas. The liver is considered to be a ‘Pitta’ organ; and, hence, a balance in the Pitta dosha is required to keep the liver healthy and to strengthen its ability to flush out toxins from the body. To treat Fatty liver naturally, Ayurvedic experts specifically focus on the management of the blocked channels because of which fat gets accumulated in the liver cells. There are several beneficial herbs and home remedies for Fatty liver which can effectively stimulate the liver to function properly. These herbs are helpful in managing all the three doshas of the body and maintaining the secretory function of the liver, in order to metabolize several digestive enzymes, hormones and nutrients. BHUMI AMLA (Phyllanthus niruri): Herb with proven properties to clear Pitta and provide immense benefits in digestive disorders like hyperacidity, dysentery, and inflammation. KATUKI (Picrorhiza kurroa): Herb with cooling, digestive, liver protective, laxative, anti-inflammatory, and anti-viral properties; and the ability to effectively manage Fatty liver disease and other liver disorders. KALMEGH (Andrographis paniculata): Herb which is helpful in regulating the formation and elimination of bile from the liver and gall bladder; and shows direct pharmacological action on the liver functioning. MAKOY (Solanum nigrum): Herb with proven liver-protective properties, and widely known for its ability to reduce alkaline phosphatase and manage fatty liver. BHRINGRAJ (Eclipta alba): Herb which is used by Ayurvedic experts for managing hepatic problems such as Fatty liver disease. PUNARNAVA (Boerhaavia diffusa): Herb with excellent pharmacological, anti-oxidant and hepato-protective properties, which can be useful in removing toxins and inflammation from the liver. KASNI (Cichorium intybus): A perennial herb which contains diuretic, laxative and detoxifying properties, and can treat liver, kidney and bile disorders. MILK THISTLE (Silybum marianum): Widely considered as a hepatic herb; with antioxidant and anti-inflammatory properties, and ability to detoxify the liver. GARLIC (Allium sativum): It is abundant in vitamins and powerful sulfur containing compounds; and can help in burning fat for the purpose of restoring liver damage and fatty liver. SHARPUNKHA (Tephrosia purpurea): A hepato-protective herb which can prevent damage to the liver. Giloy Kashaya:Decoction of Giloy herb (Tinospora cordifolia) mixed with a teaspoon of honey; to be taken once a day. Triphala Kashaya: Decoction of Triphala — a combination of Amlalaki (Emblica officinalis), Bibhitaki (Terminalia bellirica) and Haritaki (Terminalia chebula) herbs — mixed with a teaspoon of honey; to be taken two times a day, before meals. A mixture of 2 grams of long pepper powder along with a teaspoon honey; to be taken once or twice a day for one month. 3 grams of paste of Sharapunkha roots (Tephrosia purpurea) mixed in a cup of buttermilk; to be taken once a day. 20 ml of Water decoction (Kashayam) prepared by steam heating Shalmali (Bombax malabaricum) flowers mixed with mustard powder. 3-5 grams of powder of dry garlic, long pepper root and Haritaki (Terminalia chebula); to be consumed daily for two months. 2 grams of turmeric paste mixed with 3 teaspoons of juice of Amalaki (Emblica officinalis); to be taken once or twice a day. Conclusion: To treat fatty liver naturally, by regularly using some beneficial Ayurvedic products and home remedies for fatty liver, it is possible to manage most of the symptoms of Fatty liver disease and other liver disorders in a very effective manner. Next articleHere’s why one must always buy a general insurance?